This is a collection of photographs that I took of the construction of the city section during my lunchtimes. Originally it was intended to link the Leeds and Liverpool Canal to the docks in Liverpool, It was only in 1846, 30 years after the canal's completion, that the canal was directly linked to the docks via the Stanley Dock Branch. The Sankey Canal was originally known as the Sankey Brook Navigation and later the St.Helens Canal, entirely located within Lancashire, in the northwest of England, connecting St.Helens with the River Mersey. 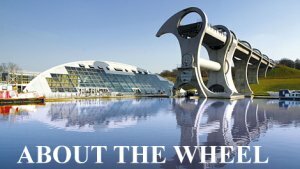 Queen Elizabeth II opened the Falkirk Wheel on 24th May 2002 as part of her Golden Jubilee celebrations. The opening had been delayed by a month due to flooding caused by vandals who forced open the Wheel's gates. This article is provided with goodwill by MERCIA MARINE a UK Boat Insurance company. Once fully insured and enjoying the UKs inland canal waterway system, due to our beautiful rolling landscape one cannot escape taking your boat through lock gates from time to time. 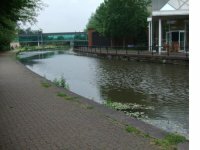 In fact some lock runs, such as the UKs longest lockset in the south of Birmingham has in excess of 30 locks that will keep you busy all day! A couple more examples of the maps and listing for our cruises in 2007 and 2009 as described in the article How long will it take & how far can I go? How long will it take & how far can I go? How Can This Still Be A Secret?